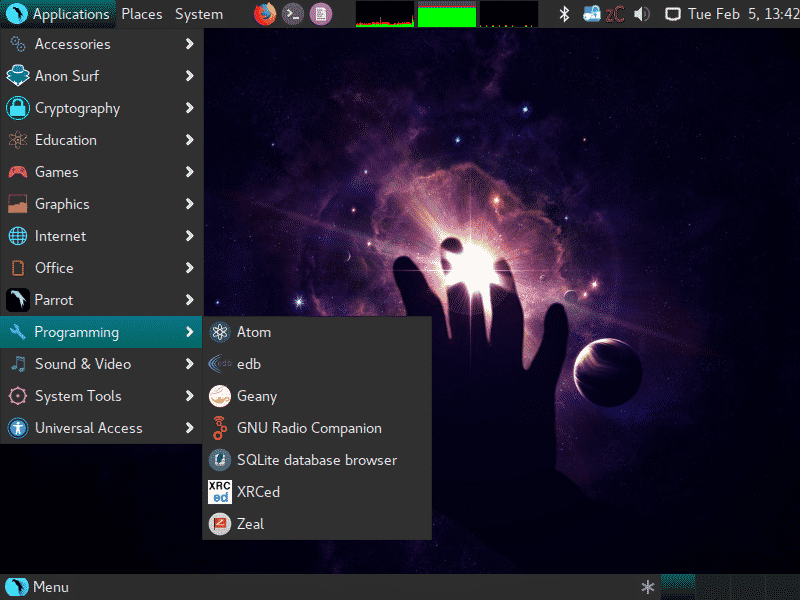 Parrot Security OS is an open source and free GNU/LINUX distribution that is made for developers, penetration testers, security researchers, forensic investigators and privacy-aware people. 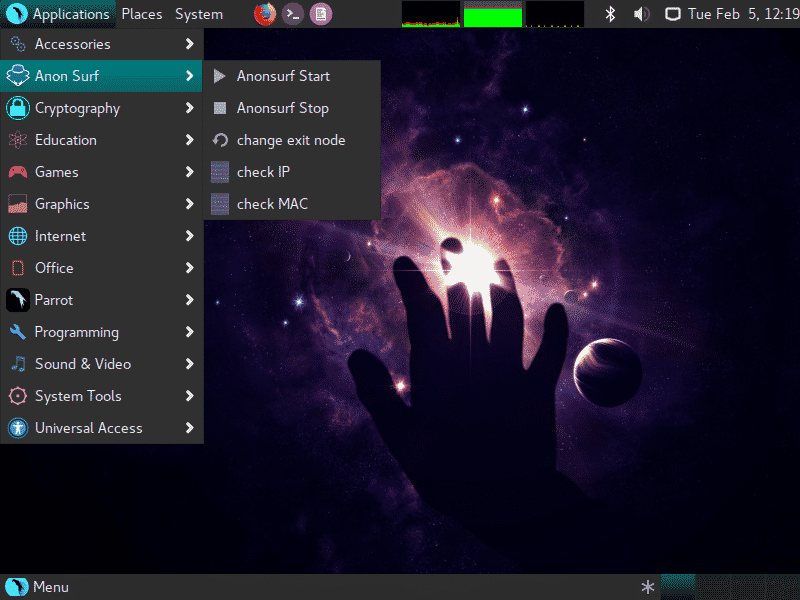 It is based on Debian Testing and ships with MATE as its default desktop environment. It is a customised version of Debian which doesn’t only come with security tools but It also has pre-installed development, security and anonymity tools like Tor, Tor chat, I2P, Anonsurf, Zulu Crypt that are commonly used by developers, security researchers and privacy-concerned people. It can be dual-booted with other operating systems or can be used in virtual environments or docker. It has separate “Forensics Mode”, in which it doesn’t mount any of the system hard drives or partitions and leaves no effect on host system, making it more stealth than its ordinary mode. This mode is used to perform forensics operations on the host system. According to its category, it can be compared to Backtrack or Kali Linux. Kali Linux is awesome but there are some things which Kali lacks like Anonymity or Advanced cryptography tools. Mostly, it also comes with wireless drivers installed that are compatible with most systems, so you won’t have to install them manually. Here are some cool features of Parrot Security OS which makes it preferable among other Linux distros. Parrot Security has pre-installed tools which can be used to encrypt files, folders and drives with passwords or private keys to keep them safe and away from hackers. These tools include TrueCrypt, Zulu Mount GPA that support both symmetric and asymmetric encryption algorithms. You can send someone an encrypted message or file so no one in the middle can read the communication. 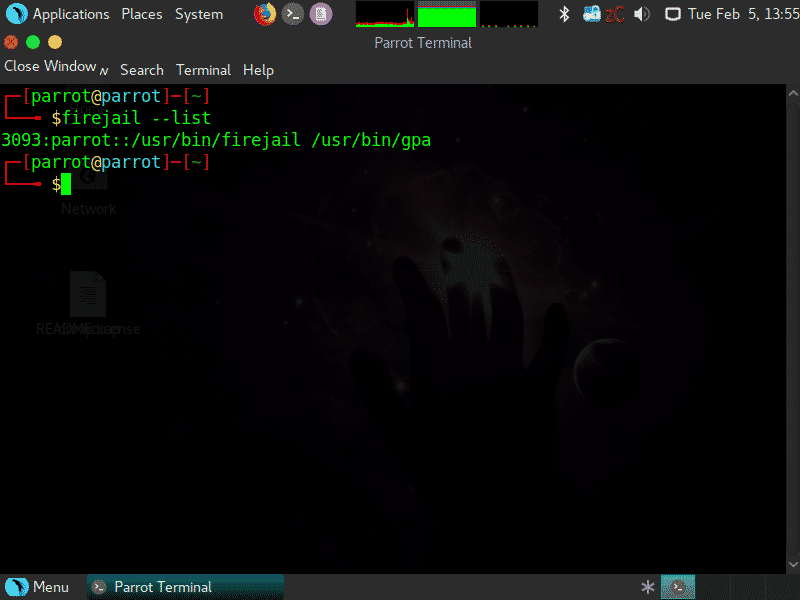 Parrot Security OS doesn’t only has tools for Ethical Hacking and Penetration Testing, it comes with a lot of powerful languages’ compilers and interpreters and IDEs. So in Parrot Security OS, you can even program Arduino or you can write code in your favorite language. Parrot Security OS is lightweight if compared to Kali Linux because it has MATE as its default desktop environment and Kali Linux has GNOME. Parrot Security OS with its MATE environment just needs 256-320 Mbs of RAM which is way less than GNOME. It runs faster and smoother on even old hardware with limited resources. This feature makes it favorable to use in virtual environments where less consumption of resources is a preference. Parrot OS offers a restricted and secured environment for its users’ better security. That makes it more secure than Kali Linux which is root by default. Parrot Security OS also ships with Hardware Programming & Hacking tools installed in it. These tools include Arduino IDE, GNU Radio, Kayak and other Radio sniffing tools. One of the interesting tool you’ll see here is the “Kayak – The car hacking tool” that can be used to test cars for vulnerabilities. Despite having only WiFi tools, it also has Bluetooth, RFID and NFC communication hacking tools. Parrot OS is more User friendly as compared to Black Arch Linux or Kali Linux according to reviews. It comes pre-installed with Libreoffice packages and a lot of other general purpose tools that make it really easy to use.